I have been using Chatbooks since they were just a brand new start up and I love my Chatbooks! My kids read them all the time and we get new books of all of our photos and memories almost monthly. Chatbooks are easy to set up and easy to order. 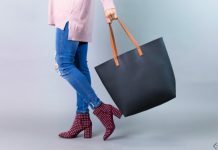 Interested in $20 of Chatbooks credit to make your next photo book? 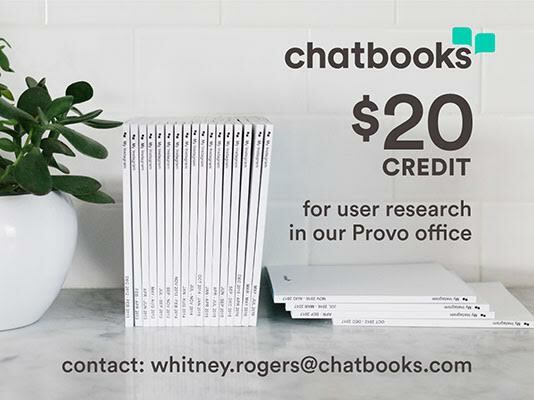 Come into Chatbooks Provo office for user research, we want your feedback! Have kids? No worries, our co-founder is a mother of 7 and we are kid-friendly.